1. Influence and reach -- According to the website for the second edition of The Norton, the collection "was adopted at more than 1,275 colleges and universities worldwide." 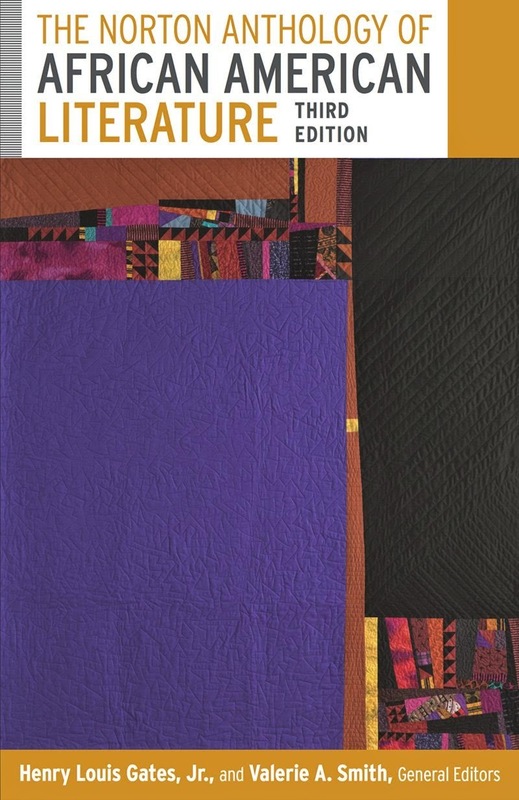 No doubt about it, The Norton is one of the most widely taught anthologies featuring black literature. I suspect that eventually the third edition will become as widely taught and influential as the second edition. 2. Solidfying a canon and/or canonical authors -- Anthologies, Norton brand anthologies in particular, serve special roles, with the assistance of publishers and classroom teachers, in keeping select works and authors on the minds of readers over the course of multiple generations. 3. The Framing of African American Literature -- The setup and arrangement of The Norton will determine how large numbers of teachers and students approach and view black literature and the tradition. The collection is primarily arranged chronologically, with some caveats. The major change with this collection is that it comes as a 2-volume set (volume 1: Beginnings Through the Harlem Renaissance and volume 2: Realism, Naturalism, Modernism to the Present). 4. Inclusions and Omissions -- Whenever an anthology is published, specialists note (and regularly complain about) who was omitted. That'll be the base with The Norton. Inclusion in a collection this widely available can greatly raise the possibility of a writer remaining or becoming known to a wide audience. By contrast, omission could increase the likelihood that a writer would have limited reach. 5. The technology -- This edition The Norton promises to have an extensive accompanying website. Past editions of the anthology included audio CDs, but the recordings will now be available through the online portal. 6. The Gates factor -- For nearly 30 years now, Henry Louis Gates, Jr. has been the single most prominent figure in African American literary studies. His prominence and wide influence means he has supporters and detractors alike. More notably, his name lends some credibility to The Norton to represent African American literature, and at the same time, The Norton brand name lends more authority to Gates as a prominent scholar.